More than 100,000 young people are expected to show up in Panama City when Pope Francis visits from Jan. 23-27 for World Youth Day. At a detention center about 25 miles (40 kilometers) away there are 144 more who can't make the trip, locked up for serious crimes including murder — so the pontiff is going to them. In an encounter expected to last a little over an hour on Friday, Francis will pray and bring a message of peace and reconciliation to the young inmates, and hear the confessions of several, including one convicted of committing a double homicide at just 16 years old. "The pope is going to listen to them, encourage them," Panama Archbishop Jose Domingo Ulloa said. "They have been preparing with high hopes to be able to receive his message." Internees have painted symbols of peace and the logo of the youth festival on walls and chairs in preparation for Francis' visit. "Just thinking that the pope is coming to visit has for them been a total transformation," she said. "They are dressing up the facility. They have painted it, they have gotten involved, they are singing." 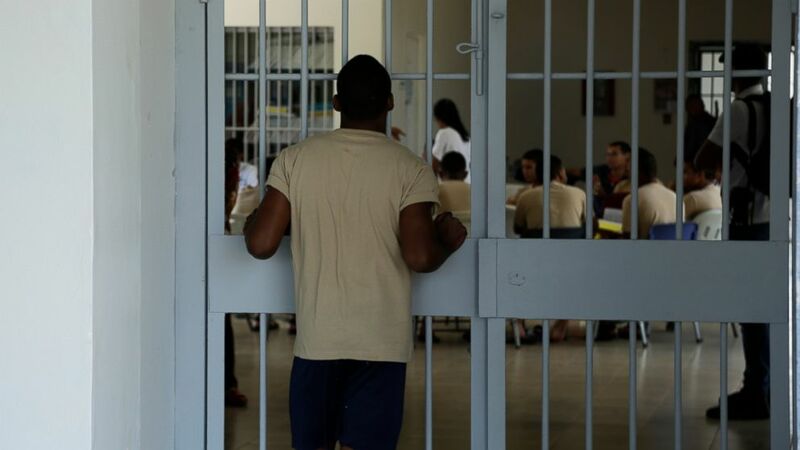 "For me it will be important to have an encounter, to receive the blessing," said the inmate, who was convicted of murder and cannot be identified due to Panamanian law governing child protection. "I would tell him to give me another chance."